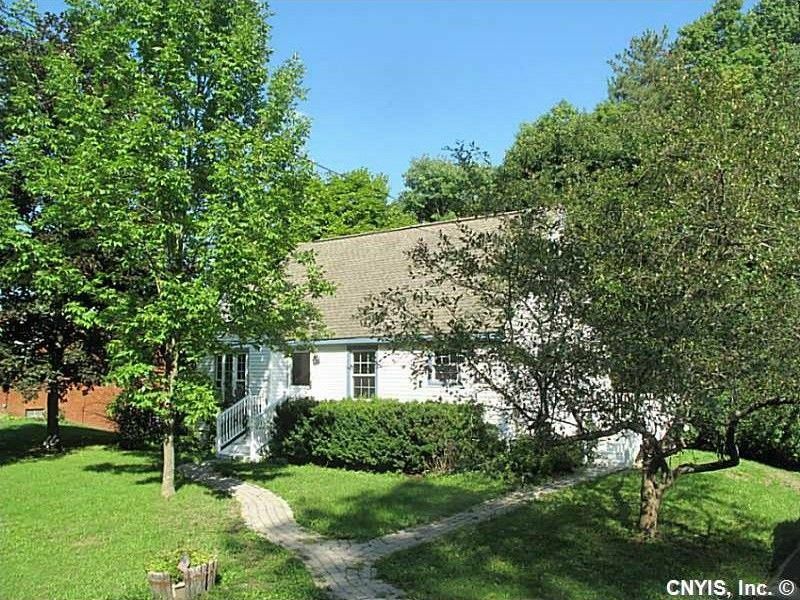 The location of this immaculate Cape at the edge of the Village of Marcellus is nearly perfect. Enjoy public water, sewer and village conveniences without Village taxes. Recent upgrades include completely remodeled kitchen and bath; new windows, doors, siding, roof and insulation; fresh paint inside and out; new stone walkway and driveway; new furnace and central air; glistening refinished hardwood; new carpet. There are no neighbors on three sides, a babbling brook borders the property and Baltimore Woods hiking trails are across the street. Marcellus has an award winning school district.